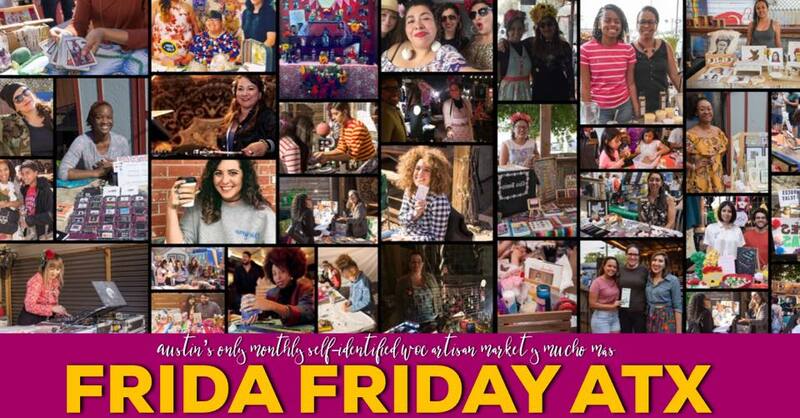 FRIDA FRIDAY ATX IS TURNING ONE!!!! And we’re celebrating by having a FIERCE AF PODEROSA PARTY. FRIDA FRIDAY ATX – Austin’s only monthly WOC- centered mercado – is turning one and we’re celebrating with a HUGE PODEROSA POWERED PARTY- “PODEROSA COMO MIS [email protected] – POWERFUL LIKE MY ANCESTORS” celebrates the power, resilience and overall badasses that WOC are. In the heart of SX we’re creating space to celebrate powerful WOC and community PODEROSAS. Let’s show the world how we do, here in Central Tejaslandia!!! Complete details including confirmed vendors, community org tables, and interactive activities coming soon!!!! See you soon, amores! Feliz cumpleaños to US!